So you’ve finally decided that your business needs a website. But when you saw the long list of web hosting companies, the venture seemed to become a whole lot intimidating! Not all web hosts are created equal, after all. Lucky for you, I’m here to help you make the right choice! SiteGround is one such web host that’s worth your attention. Why? Because they do provide affordable web hosting solutions that are perfect for small to medium sized businesses. But affordability isn’t the only thing you need to look for in a web host. There are many other factors you need to consider before investing your hard-earned cash on a web host, and that’s exactly what we’re going to tackle in this SiteGround review. A web host serves as your long-term partner but for you to be able to stick with it for a long time, it must be able to meet your specific needs. Here, I’m going to talk about SiteGround’s hosting plans, the features that come with them, the control panel used, some notable extras and add-ons, their uptime track record, whether or not they offer a money-back guarantee, their customer support, and many more. 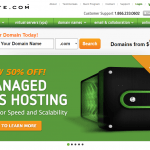 Do they really provide affordable web hosting solutions for clients of all levels? Ultimately, this SiteGround in-depth review will help you decide whether or not whether or not it’s the web host for you. SiteGround Web Hosting – What’s Their Story? SiteGround is fairly new in the web hosting industry, but that doesn’t mean they’re neophytes in providing quality hosting services. The company was founded in 2004 by a team of passionate IT professionals who were once university friends. Slowly but surely, SiteGround grew into one of the most trusted web hosting companies. Starting with only a handful of people working from their university dorms, the company now boasts over 280 employees. SiteGround has become one of the most preferred hosting providers among individuals and businesses on a budget, and is a proud host of more than 450,000 domains – and counting! They apply the same philosophy in everything they do, from the way they choose their hardware to the attention they out into providing the best quality for customer service. SiteGround offer an extensive list of high-quality hosting services to suit everybody. This includes shared hosting, cloud hosting, and fully dedicated servers. This means they can cater to clients of all levels, from individuals looking to build a simple website, to large-scale enterprises that require robust hosting packages for their ever-growing businesses. At SiteGround, the term “high quality” doesn’t mean you have to pay a high price. Though not the cheapest around, their hosting plans are definitely some of the best you’ll find in the market – ones that give value for money. “With an impressive breadth of overall hosting services offered, SiteGround is a leading innovator in the hosting space — from custom software solutions to premier customer support. 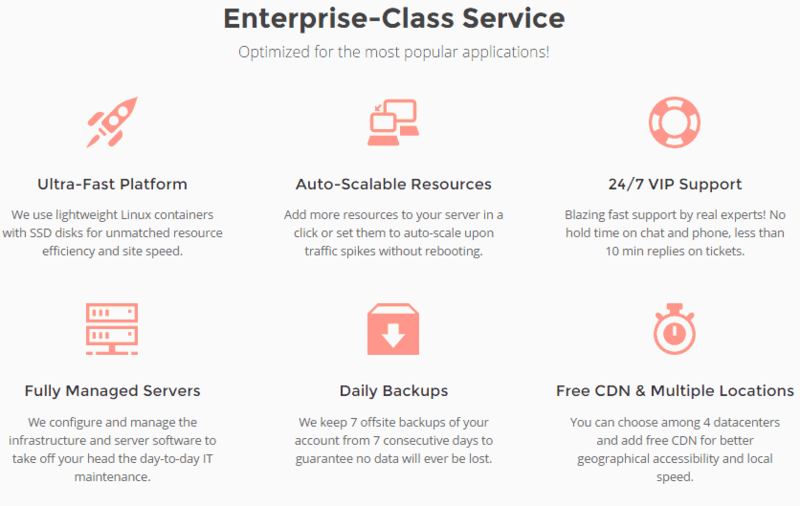 They offer the full range of web hosting features, including a free domain and email, Cloudflare CDN, cPanel with SSH access, and unlimited MySQL databases and bandwidth — not to mention their prize-worthy customer support. SiteGround doesn’t offer monthly payment options. However, they’re currently running limited-time discount promos where you can enjoy up to 60% off the regular price of a shared hosting plan. All of their plans come with unlimited bandwidth and MySQL databases, as well as free email accounts. The Startup Plan even comes with a free domain name and access to the ever-popular cPanel control panel, which is pretty nice. Besides these, SiteGround also provides a free website builder on all their hosting plans. You even have access to a whole slew of useful applications, including popular content management apps like WordPress and Joomla (which I’m going to talk about in great detail later). SiteGround offers three different shared hosting plans: StartUp, GrowBig, and GoGeek. Sadly, these plans are only based on the Linux OS. This means that if you need to build a website that supports Windows-specific applications (i.e. ASP.NET), you’ll have to look for a different web host altogether. The most basic hosting plan, StartUp, is currently at $3.95 a month (60% off from the regular $9.95 a month). It’s ideal for beginners who are new to building a website, as well as for those who are planning to build simple websites for personal or commercial purposes. The plan includes one website, unlimited bandwidth and emails, 10 GB disk space, network traffic that’s suitable for up to 10,000 visitors a month, and free CloudFare CDN. With CloudFlare, you can be assured that your site will have better performance and security. I know that you can easily sign up with CloudFlare but the integration will be especially beneficial for those who have no idea that this is an option. From my experience, BlueHost seems to be the only other web host that offers this feature for free on their hosting plans. Meanwhile, the GrowBig plan, which is now at $7.95 per month (45% off the regular $14.95 per month), is intended for slightly larger websites that require support for multiple sites. It builds upon the StartUp plan, but has 20 GB worth of disk space and can cater to up to 25,000 site visitors per month. Best of all, this plan comes with 1 year free SSL Certificate and the ability to keep up to 30 backup copies. The highest shared hosting plan, GoGeek, is currently at $14.95 per month (50% off from the regular $29.95 a month). As the name implies, this plan is especially crafted for the web geeks who need more power out of a hosting package. The GoGeek plan includes all the features that come with GrowBig but with 30 GB disk space, network traffic that’s suitable for up to 100,000 monthly visits, free PCI compliance, and pre-installed Git repository for storing data. With this plan, you’ll have better hardware since there are fewer accounts in the server. Overall, SiteGround has some pretty great offerings in store for those who wish to purchase a shared hosting plan. They’re feature-packed and include a lot of cool extras that are otherwise available at an additional cost in other web hosts. Their offerings, however, fall behind BlueHost, particularly with the pricing. BlueHost also offers more disk space in their shared hosting plans. SiteGround will require you to sign up for a one-, two-, or three-year contract. If you think you can’t stick around for a long-term commitment, there are other web hosts out there that offer month-to-month payment options. The shared hosting plans aside, SiteGround does offer monthly payment options on their other hosting tiers. For those who need more power, are expecting high traffic volumes, and/or have specific compliance requirements that prevent them from using shared servers, SiteGround has the perfect solution for you: Cloud hosting! Starting from $60 a month, you can choose from four different packages: Entry, Business, Business Plus, and Enterprise. You can also choose among 4 data centers and add free CDN for better accessibility and speed, no matter where you are. Unlike other web hosts that offer cloud hosting, the amount of resources you’ll get are very limited. Even their high-end server, Enterprise, only has a very skimpy 80 GB disk space and 5 TB bandwidth. Pricing is on the higher end of the spectrum, too. And for the features you’ll get, it doesn’t really seem to provide more bang for the buck. Those who want the ultimate power for their website can take advantage of SiteGround’s high-class dedicated servers, managed by a dedicated team of experts. This web host provides a number of highly advanced proprietary software that will help boost your server’s performance and give you more functionality and flexibility. With SiteGround’s dedicated servers, you can choose your plan based on the CPU, disk space, RAM, and RAID you need. Plans range from $229 a month for the Entry plan, to $429 a month for the high-end Enterprise plan. SiteGround lets you configure your server with up to 2 TB of disk space, 16 GB of RAM, and a relatively skimpy 5 TB bandwidth. Most of the other web hosts I’ve reviewed so far offer up to 15 TB bandwidth. This includes one of my top recommendations, iPage. If you think you need more than what SiteGround can offer (and at a much cheaper price, too), consider checking out other web hosts first before taking the plunge. Whether you’re new to building a site with WordPress or you want to migrate an existing WordPress site, you’ll enjoy the smooth and easy setup that SiteGround provides to its clients. They’re one of the more well-known WordPress hosts in the market, providing a special hosting environment that optimizes a WordPress site’s speed and security. Like many of its competitors, SiteGround offers managed WordPress hosting plans. With a WordPress hosting plan, the web host will handle the WordPress installation so that your site will get the benefit of enhanced security, daily backups, and automatic updates, among many others. SiteGround’s hosting plans are named after their shared hosting plans and have similar pricing. At 3.95 per month, the StartUp plan has a rather skimpy 10 GB storage, limits you to only 10,000 monthly visits, and the ability to host a single WordPress site. The GrowBig plan is at $7.95 per month, with 20 GB disk space, up to 25,000 monthly visits, and lets you host unlimited sites. The high-tier GoGeek plan, which is currently at $14.95 a month, builds upon the GrowBig plan but servers up to 30 GB disk space and 100,000 monthly visits. All of their managed WordPress hosting plans include unlimited emails and bandwidth. SiteGround has some really feature-rich managed WordPress hosting plans, but they pale in comparison to BlueHost’s offerings since they don’t place such visitor and storage caps on their WordPress hosting options. That’s not to say that SiteGround’s WordPress hosting is bad. They have a pretty good, mid-level service. It’s just that BlueHost has a better all-around offering. Once you’re logged into your WordPress account, creating posts, pages, and galleries is as easy as setting up any other self-hosted WordPress website. If you think you can handle all these tasks alone, SiteGround gives you the option to set up a non-managed WordPress site. It’s simple: Go to your control panel, click on the WordPress icon, and go to the Softaculous one-click installer. From there, you’ll find a wizard that will walk you through the installation process. Besides these, SiteGround also allows you to enable Clef, a plugin that lets you log in to your WordPress account with your phone instead of a username and password. It’s a fairly advanced feature I didn’t expect to see in a web host. Want to build an eCommerce website using Joomla or Magento? SiteGround also offers managed hosting for these platforms. Make sure to check them out! SiteGround comes with plenty of tools and services for those who are looking to build a full-blown eCommerce website. You can set up an online store from the get-go with eCommerce-centric apps like Magento and PrestaShop, among others. From the control panel, you can find all of these popular eCommerce apps under Softaculous. There, you can choose from more than 30 eCommerce apps, including, but are not limited to ZenCart, OpenCart, Axis, and Showare. If you only need a simple shopping cart, that’s not a problem either! There’s even an app for invoicing and billing, if that’s what you need. For those who wish to build a WordPress-based eCommerce site, SiteGround offers WP eCommerce hosting that’s tailor-made for entrepreneurs who are looking to leverage their online business. SiteGround guarantees that your eCommerce site will run perfectly and will be safer, faster, and better supported than in any other web host. Their servers meet all the necessary requirements to run an eCommerce site. It comes with the highly popular Softaculous auto-installer, uses the latest stable PHP version that’s compatible with WP eCommerce (along with 5 other PHP versions to choose from), and has the latest MySQL version so you can handle requests fast! For managing your hosting account, SiteGround gives you access to the most popular and most user-friendly control panel, the cPanel. But unlike the standard cPanel, they have a customize version to make it look professional. Rest assured, though, that you’ll still get the same amazing features with their custom cPanel. SiteGround has designed a unique, all-inclusive User Area where you can manage all aspects of your hosting account, including your domain, your billing, your tickets, etc. 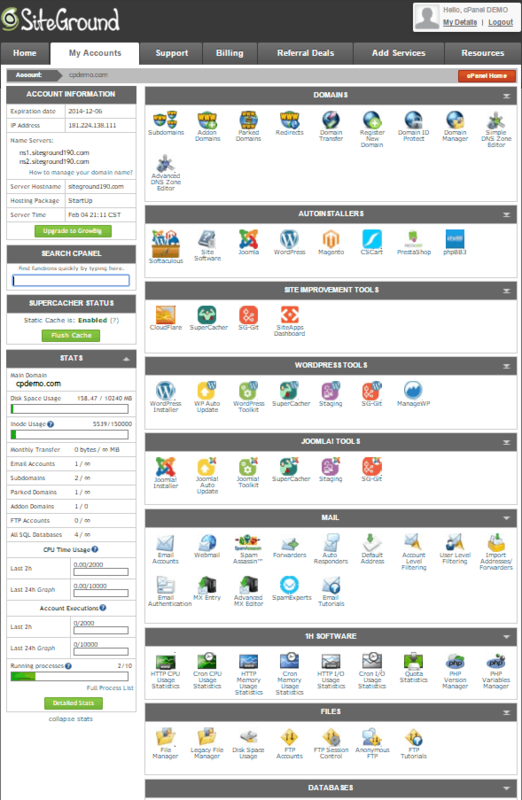 The cPanel is also built into the User Area, with plenty of unique functionality added to it. Everything you could possibly need is readily available and integrated into the control panel. And again, you can access Softaculous from cPanel, as well as its custom installs for popular applications like WordPress, Joomla, and Magento. Besides these options, you can also access all the other applications that you can add to your site to further expand its functionality. Uptime and Performance – Are They Reliable? The reason SiteGround is able to deliver a solid uptime record is that they’ve built a unique downtime prevention software that not only monitors their servers’ status in real time, but also automatically resolves 90% of performance issues with zero human interaction. This is a big plus for me, considering that a lot of other web hosting companies out there take some time to respond to downtimes. Some web hosts don’t even attempt to resolve downtime issues at all! SiteGround also has a unique feature in that they allow their users to choose which data center location they want to host their website. They have a data center in Illinois (US), in Amsterdam (Germany), and in Singapore (Asia-Pacific). If you’re concerned about the privacy of your data or any existing retention laws, you can opt to use their Europe-based data center. If you cater to a significant portion of Asia-based customers or users, their Asia-Pacific data center is the way to go. Other than that, you can just go for the default US server. I don’t think a lot of businesses will need this feature but it’s a unique option I didn’t expect to see in a web host like SiteGround. 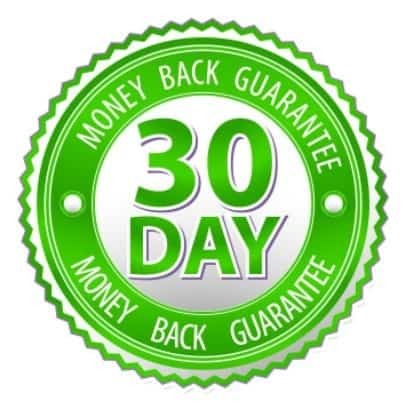 SiteGround is confident that their services will meet your expectations but for your peace of mind, they offer a standard 30-day money-back guarantee. The money-back guarantee serves as your sole and exclusive remedy in the event that they fail to meet client expectations. Account cancellation request by the client has become effective in less than 30 days after the date of the initial payment. Cancellations made beyond the first 30 days of service are not eligible for a refund. If the client has registered a domain name with SiteGround during the initial payment, the domain registration fee will be withheld. This fee is always withheld in case of a refund even if it was waived at the time of purchase. Refund will come in the form of credit added to the client’s SiteGround Virtual Wallet where it can be used for new purchases or renewals. Clients may also choose to receive a refund back to the credit card which was used for the initial payment. You can terminate hosting services with SiteGround at any time through the User Area, where you can submit a cancellation request. They will then send you an email confirmation to acknowledge your completion of the cancellation request. SiteGround’s main focus is on customer service. This shows in their services, including their customer support. So if you ever have any issues with your hosting account or website, trust that you’ll get prompt response from SiteGround’s team of well-trained customer care agents. You can reach them through a ticket-based system, or via live chat and 24/7 telephone support. The company claims to process more than 1,500 tickets, 800+ phone calls, and over 2,000 chat requests every single day. I went ahead and tested their live chat support and was amazed at how fast someone came to help me. Instead of telling me how long I’d have to wait, the system informed me instead that there were 4 people ahead of me. Even more amazing is that I was connected to a live customer rep in less than 5 minutes! I asked about the difference between managed and non-managed WordPress hosting and was pleased with the clear and prompt response. Next, I called telephone support on a weekday night to ask about migrating an existing WordPress site. The customer rep who responded to my call was friendly and knowledgeable. He patiently walked me through the process and suggested I check out their knowledgebase for some useful tutorials. I assume they would’ve given me some useful links if I inquired about it via live chat. Besides the usual customer support methods, SiteGround has many other ways to help you get around with your hosting account. They have a whole slew of tutorials, along with a detailed knowledgebase filled with popular self-help hosting materials. They’ve even created an intuitive setup wizard that’s useful for newbies who need guidance through the initial steps of setting up their hosting account. And for those who want to expand their knowledge in web hosting and website-building, SiteGround went out of their way to provide clients a webinar series where they share expert knowledge on the latest topics of the day. Sometimes, they even collaborate with partners to bring even broader insight on the topic at hand. In fact, SiteGround plays a major role in the WordPress and Joomla community as they regularly attend, sponsor, and give talks at several annual events. For example, if you frequently attend WordCamp events, chances are you’re already familiar with this web host! Overall, SiteGround simply has one of the best and fastest support you’ll ever find in a web host. SiteGround is a web host that can help you with your website needs. They have shared, cloud, dedicated server, and managed WordPress hosting plans that are carefully crafted to not overwhelm individuals and businesses with the whoozits and whazits in web hosting. They do so much more than your standard web hosting provider by offering useful extras and advanced features that are otherwise available for an additional cost in other web hosts. 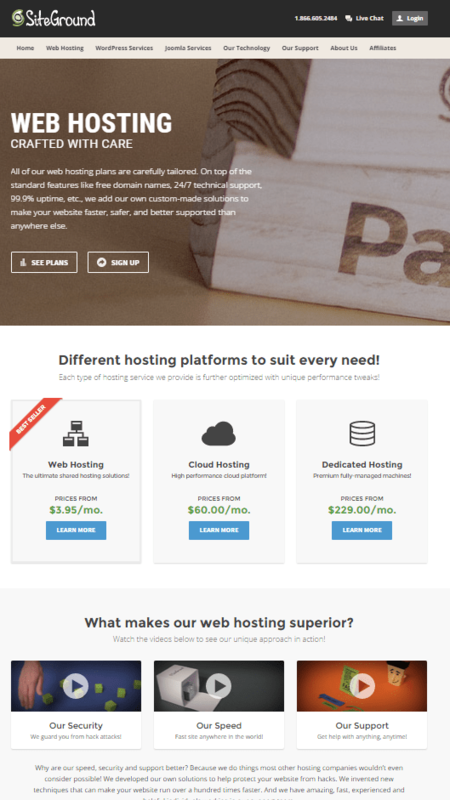 This web host is ideal for newbies, and serious webmasters and business owners. They provide top-notch hosting services and quality customer support. While they’re not the cheapest web host you’ll find, the features and services that come with each of their hosting packages are definitely worth every penny. They’re truly all-inclusive – they’re fast, secure, scalable, and flexible. If pricing isn’t a big concern to you and you’re the kind of guy who looks more into quality than quantity, then you definitely won’t be disappointed with the number of features SiteGround boasts of. They truly stand out from crowd – and for a good reason! SiteGround is a reliable web host with a solid uptime track record and top-notch customer support. Best suited for new webmasters and small businesses on a budget.